Read for This Week’s Study: Matt. 7:5; Eph. 1:7; Phil. 2:4-8; Eph. 4:26, 27; James 1:19, 20; Col. 3:19; Matt. 7:12. Memory Text: “Be angry, and do not sin’: do not let the sun go down on your wrath” (Ephesians 4:26, NKJV). Even the best of homes will face times of struggle, times of conflict. It’s just one of the facts of life in a fallen world. Simple things, such as whose turn it is to take out the trash, or whether your teenage daughter finished her homework, or your son has done his chores, are bothersome but relatively minor issues that can, generally, be resolved with minimal disruption. But other issues can threaten to disrupt family life. The mother-in-law whose abuse and manipulation threatens to destroy a woman’s marriage and her health; the father with mental illness who abuses his children; the son who abandons all his religious upbringing to give himself to a promiscuous lifestyle; or the daughter who becomes a substance abuser. Study this week’s lesson to prepare for Sabbath, June 8. The writer of the Proverbs makes a very astute observation: “The start of an argument is like a water leak —so stop it before real trouble breaks out” (Prov. 17:14, CEV). Once begun, a conflict can become incredibly hard to shut down. According to Romans 14:19, we can prevent conflict by following after two things: that which makes for peace and that with which one may edify another. How much more so are these principles crucial to harmony in the family? Sometimes when you admit your responsibility in a conflict, it may cause the other party to soften. Take a step back and consider if it’s even a worthy battle. Proverbs states, “Those with good sense are slow to anger, and it is their glory to overlook an offense” (Prov. 19:11, NRSV). At the same time, consider what difference this is going to make in your life in three days. Better yet, what impact will it have in five or ten years? How many marriages, for instance, have had difficult times over issues that today seem so trivial? Instead of letting conflict drag on for a long time, as you speak with the other person, a spouse, a child, a friend, a co-worker, you may want to clearly define the problem or issue of discussion and stay on the immediate topic. Conflict often deteriorates when the issue that started the conflict gets lost in angry words; meanwhile, past issues or past hurts are tossed into the mix (this can be deadly, especially to a marriage. One way to have a better and softer start to the discussion is to affirm your relationship. Let the other person know that you care deeply about them and about your relationship. Once you have stated your positive feelings, you can move to the issue at hand; however, be careful not to use the word but. Stating a positive thought and then saying “but” negates what you just stated. Once you share your feelings, listen to the other person’s perspective, reflect on what he or she has said, and only then propose a solution that keeps everyone’s best interests in mind (Phil. 2:4, 5). Think back about some conflicts that now appear so silly and meaningless. What can you learn from those experiences that could help, at least from your side, prevent something similar from happening again? Read Romans 3:23. What crucial principle is found here as well? Read Philippians 2:4-8. What important principle here, as well, can we use that can help us, not just in marriage, but in all potentially troublesome relationships? What does James say in James 1:19, 20 that we should apply at all times that we can, but especially when dealing with family members whose actions and attitudes and words make us angry? Sometimes the root of anger stems from the homes we grew up in. Angry people often come from angry families because they learn from their role models and carry on the same behavior in their own lives, eventually passing it on to their children. At times anger may be the result of unmet needs or from jealousy, as was Cain’s case, which led to the murder of his brother. You may have a good reason to be angry, but don’t use it as an excuse to stay that way. Don’t deny it or try to justify it. Instead, ask God to help you deal with it in a positive way. The apostle Paul gives us good advice: “Don't let evil defeat you, but defeat evil with good” (Rom. 12:21, CEV). We all have things that anger us, even to the point of pain. And, in some cases, we probably are justified in that anger. The question is, How can we, through the power of God, not let that anger make us, and others around us, miserable? “We are not forgiven because we forgive, but as we forgive. The ground of all forgiveness is found in the unmerited love of God, but by our attitude toward others we show whether we have made that love our own. Wherefore Christ says, ‘With what judgment ye judge, ye shall be judged; and with what measure ye mete, it shall be measured to you again’. Matt. 7:2”. – Ellen G. White, Christ’s Object Lessons, p. 251. At the same time, when we are the ones at fault, we need to try to restore the broken relationship with another person, which may involve going to the other person and telling him or her that you regret what you’ve done, and asking for their forgiveness. That’s what Jesus said: “So if you are about to place your gift on the altar and remember that someone is angry with you, leave your gift there in front of the altar. Make peace with that person, then come back and offer your gift to God” (Matt. 5:23, 24, CEV). It is nice when someone who has hurt us apologizes and asks for forgiveness. Likewise, it is nice when we give others the same type of care. Further Thought: “Too often the parents are not united in their family government. The father, who is with his children but little, and is ignorant of their peculiarities of disposition and temperament, is harsh and severe. He does not control his temper, but corrects in passion. The child knows this, and instead of being subdued, the punishment fills him with anger. The mother allows misdemeanors to pass at one time for which she will severely punish at another. The children never know just what to expect, and are tempted to see how far they can transgress with impunity. Thus are sown seeds of evil that spring up and bear fruit”. – Ellen G. White, The Adventist Home, pp. 314, 315. “Home is to be the center of the purest and most elevated affection. Peace, harmony, affection, and happiness should be perseveringly cherished every day, until these precious things abide in the hearts of those who compose the family. The plant of love must be carefully nourished, else it will die. Every good principle must be cherished if we would have it thrive in the soul. That which Satan plants in the heart—envy, jealousy, evil surmising, evil speaking, impatience, prejudice, selfishness, covetousness, and vanity—must be uprooted. If these evil things are allowed to remain in the soul, they will bear fruit by which many shall be defiled. Oh, how many cultivate the poisonous plants that kill out the precious fruits of love and defile the soul!” – Pages 195, 196. Read the following quote from an article about marriage. “For we have not an high priest which cannot be touched with the feeling of our infirmities; but was in all points tempted like as we are, yet without sin” (Heb. 4:15). Just as Christ put Himself in our situation, to best relate to us, we should do the same with our marriage partner. Try to view any given situation or crisis not just from your own perspective but from your spouse’s. See how he or she views the situation, how it has an impact on him or her, and why he or she would feel about it the way he or she does. The principle can go a long way in alleviating tough situations. In what ways can we apply this principle to all areas of potential conflict with others? Choomba Simillah was being expelled from the University of Zambia. He owed 9,000 Zambian kwacha (about U.S.$900), and he had no idea where to obtain the money. But Choomba wasn’t going to give up. 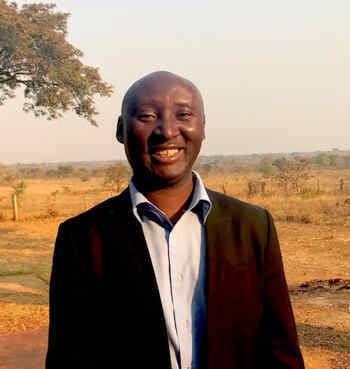 He was studying for a bachelor’s degree at the public university while teaching at Rusangu Secondary School, a Seventh-day Adventist boarding academy in Zambia. Choomba approached various people to ask to borrow the money. He looked for a way to sell his car, a maroon Toyota Voltz. He prayed to God to intervene. Then he went to a bank in Monze, the nearest town to Rusangu Secondary School, to apply for a loan. He learned, however, that the bank had stopped offering loans. “There is a white man who has a daughter coming here for the holidays”, the friend said. “He wants to travel. He asked me to look for a sound car, and I think yours will do”. “Just take your car to the car wash”, the friend said. “I couldn’t believe it”, Choomba said in an interview. “No, we can meet on Sunday”, he said, praying silently that the man wouldn’t change his mind. Choomba promptly returned tithe and went to the university to pay off his bill. He never was expelled and went on to graduate in 2016. “Be patient and trust in God”, said Choomba, 37. “You might struggle to do this or that, but He knows what you want. His appointed time always comes”. The Rusangu Mission, where the secondary school is located, was established with mission funds in the early 1900s. Thank you for your mission offering.